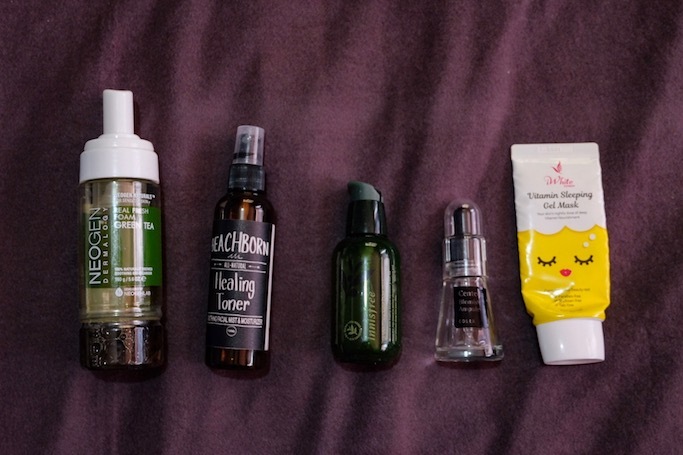 Body and Skincare Empties: My Current Favorite Products! I have a guilty pleasure and that is to finish up a tub, tube, or bottle of beauty product. I think it's a waste when I open a new one and I am still halfway my current skincare. Naguguilty talaga ako! or 2) Send barely used products to my sisters' or mom's room for them to try (and hopefully finish!). Here are the products that I currently used up til the last "drop"! Medyo recent ko lang naisip to gather everything, siguro just 3 weeks ago when I placed a paper bag by my trash bin so I can shoot my empties in the hopes of blogging about them someday. This feature is inspired by Korean vlogger Joan Keem's Empties segment where she shows paper bags filled with all her empty skincare and makeup packagings. Ang konti palang pala ng sa akin, but this whole time feeling ko ang dami na hehehe. I'll try to do this biannual or yearly next time? I realized that most of my makeup empties are for my base, I barely finish pans of blush or eyeshadows, or a tube of lipstick except for lip tints and lip balms. I highly recommend the Biore UV Aqua Rich Watery Essence with SPF 50 because of its lightweight consistency, gentle scent, and matte finish on my face. 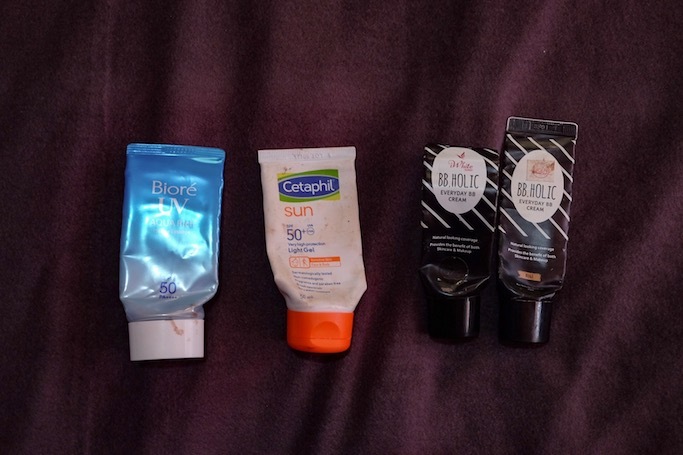 After finishing up I think about 3 tubes of this, I tried other brands and Cetaphil Sun with SPF 50+ has been a very good alternative since I was able to use this in both city and beach trips. I am not sure if it gives off white cast on pictures since it is in white cream form and a bit heavy, but so far I have no extremely bad reviews about this product--and it definitely lasted me for months! Yung gustong gusto mo na mag try ng bagong SPF kaya I even used this on my arms just to finish the tube na, haha! The two black tubes on the photo above are my all-time favorite BB Cream from iWhite Korea which is the BB Holic Everyday BB Cream in Beige. I've used up more than 5 of this for sure (not counting the sachets)! As you can see, the last tube has the Mimi Shop sticker pa on it which means I opened it last August 2018 pa, and just finished it this month (April 2019). I really hoard this in Lazada, Watsons, or in Metro Department Store! It's my go-to, everyday base! These are the products that I only use at night (except for the facial wash). One of my favorite facial wash to date is the Neogen Real Fresh Foam Green Tea, I think this is already my 3rd or 4th bottle! I usually get this in BeautyMNL or in Korea (sa Olive Young), medyo mahal lang sya at Php 800 ish and mabilis pa maubos since ang saya mag pump ng foam haha, so I had to try other facial wash brands after every bottle! But I really love this, feel ko super gentle nya since foam wash sya, and since it is green tea, very good din for acne prone skin. Another bottle that has been in my skincare table for years now is BEACHBORN's Healing Toner! I am proud to have tried this back in its test-mode pa in 2017 since my friend is the owner of the brand. It contains Witch Hazel which I think helps a lot in my acne prone skin. I also like its scent, so I enjoy spraying this after cleansing my face and before applying other products. This toner is also super affordable at Php 150 for the smallest bottle so sulit din! Also, you get to support a small local business!! I've known of the Innisfree Green Tea Seed Serum for the longest time, but only became a fan after trying it since their first store opening here in Manila (Mall of Asia). I love its comforting scent, its moisturizing feeling to my face, and also its consistency na hindi super lagkit and can be layered with other products pa. It was a perfect addition to my 10-step nightly skincare routine! I've always been a Cosrx fan because most of their products target skin concerns that I have like big pores, blackheads, acne, etc. I tried the Cosrx Centella Blemish Ampule while looking for products with centella asiatica ingredient in Althea Korea (which, again, is good for acne prone skin haha). Nothing super woah with the product, but I guess it did helped in keeping my face clear even during time of the moment. It is also a bit expensive at Php 1300, but worth the try and might even repurchase when I have the budget again. And lastly for my skincare empties is another iWhite Korea product which is the Vitamin Sleeping Gel Mask. This is comparable to Laneige's tub of sleeping mask, but only with travel-friendly packaging, pocket-friendly price (Php 229), and vitamin C in the ingredient. I also use AHA/BHA in my current skincare, na bawal daw ma mix sa Vitamin C so I don't use my Klairs muna. But I think the formula of iWhite is gentler so I get to also use it with my AHA/BHA without negative reactions. Again, I have a dozen more lip balm products that I have finished up before thinking of this feature because I am addicted to them! I think habit ko na to get the tube from my pocket or bag and swipe on my lips anytime anywhere--during bus rides, while waiting in a counter for my change, and most especially during travels! 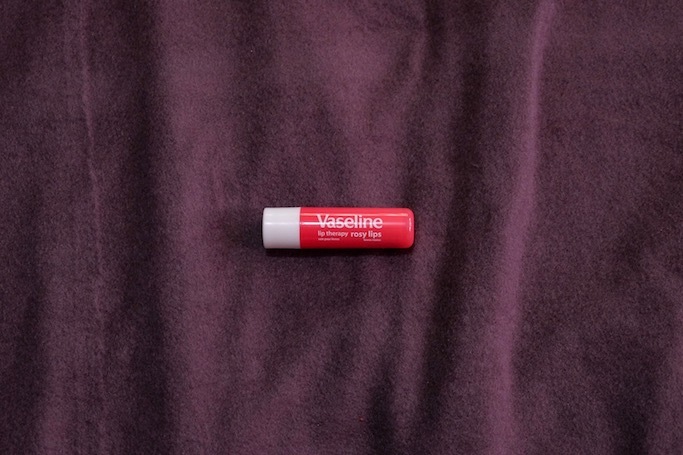 What I like about Vaseline Lip Therapy Rosy Lips is that it is not only mabango and moisturizing on the lips, it also leaves red tint so I don't look pale naman whenever I am out (I am not a fan of lipstick). 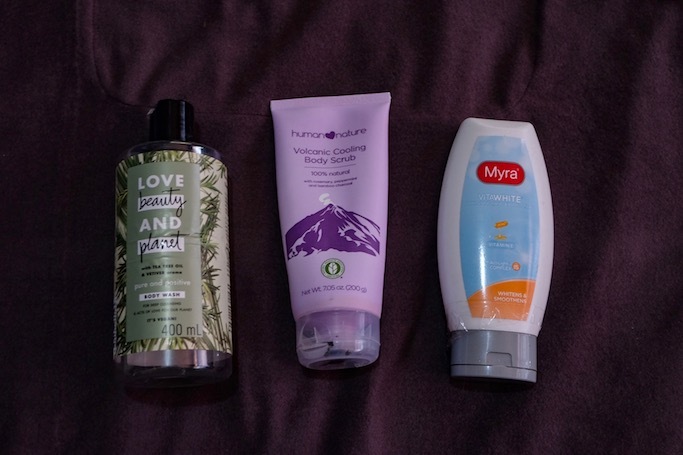 Just some of the body care products I consumed during the past weeks: Love Beauty And Planet Tea Tree & Vetiver Body Wash (Php 290), Human Heart Nature's Volcanic Cooling Body Scrub (which I only got to use again recently since uminit na uli! ), and a Myra Vitawhite Lotion that I bought in Lazada a few months ago to even out my arms (since I always have on my watch and I don't wear sleeveless--di talaga pantay kulay ko!). And finally, I think my most favorite part of my nightly skincare routine is using up these pads! 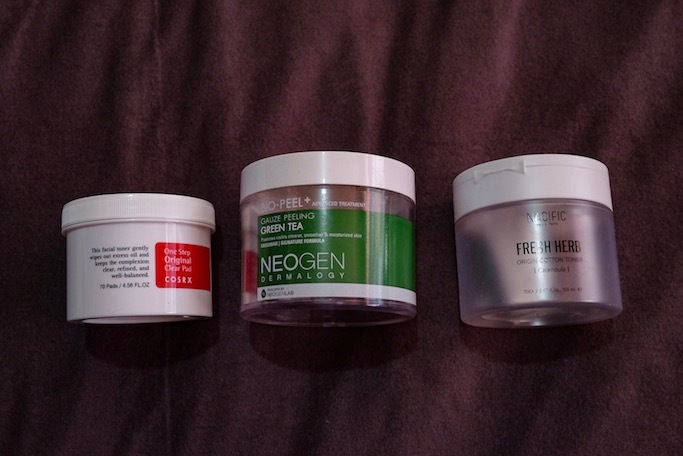 My favorites are definitely the Cosrx One Step Original Clear Pad and Neogen Bio-Peel+ Gauze Peeling Green Tea. Both are very good to acne prone skin, although Cosrx's I can use daily since it's just a toner. I have a small tub for this so I can even bring a few during my trips. The Neogen can only be used once a week, or every 3 days, basta may interval since exfoliator sya. Like the facial wash, it has green tea na sobrang favorite ng skin ko, but it is also expensive at around Php 1300 kaya ang hirap i-maintain! Haha! Sigure I'll buy a tub nalang uli pagka balik ng Korea, but it is also available in apps like BeautyMNL or Althea. It says a lot to the brand and product effectivity kapag naubos mo sya, right? 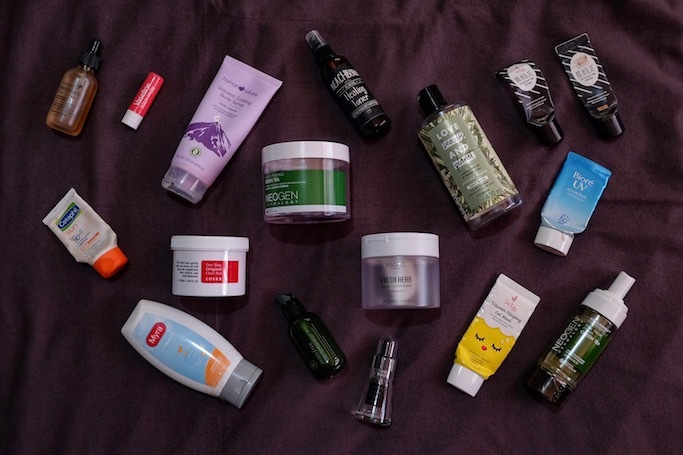 Share to me your current "empties" and products you will surely repurchase! Most of the products that I use I just purchase online via Althea Korea and BeautyMNL, or Lazada for Watsons products, or in Korea in Olive Young.